During the pre-spawn, bass will hold around rocks. When they are done spawning, they will move back out to the same rocks when they are post-spawn. You can find these rocky banks and shorelines on most lakes. 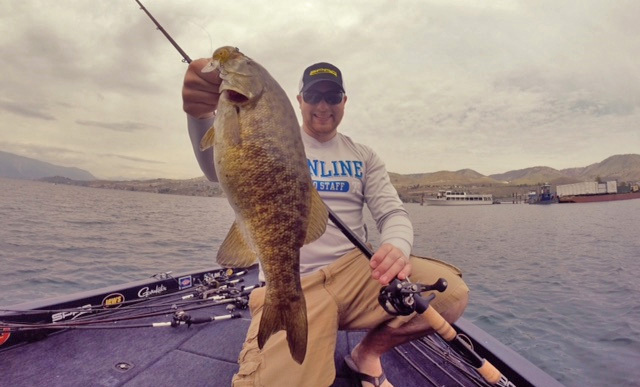 These “rip-rap” areas hold bass year round. Bridges, wing dams, man-made roads and boat harbors are some of the types of places that have rock. One of my favorite ways to target bass holding on rocks it to fish a crankbait. A crankbait is an awesome fish triggering bait and it helps you cover a lot of water as well. My personal favorite is a Spro RkCrawler 55 crankbait. It’s new crankbait that Spro just came out with. It is specifically designed to fish around rocks. The design of the bill helps the bait to deflect off of the rocks and not get hung up. The bait really shines in cold water. 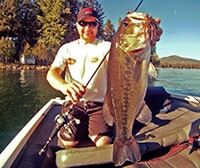 Its action really helps to trigger bass that aren’t activity feeding into striking! But it will also catch bass in warm water as well. And I’ve caught bass around weeds, not just rocks. The RkCrawler will flat out catch bass! I like to throw the bait on 12-pound SunlineSuper FC fluorocarbon line. I choose fluorocarbon because it has no stretch and is very invisible underwater. Having no stretch in the line is very key when you throwing a crankbait. It helps when a fish bites to be able to set the treble hooks into the fish’s mouth. It also helps when you get a peace of grass caught on the bait, you can rip your rod and clear the bait of any vegetation. 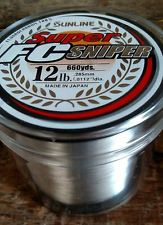 The Super FC Sniper fluorocarbon is also very abrasion resistant. When you are fishing the RkCrawler around rocks or wood and you are hitting the cover with the bait, the line will be in contact with it as well. Having a good strong line is very important when you are catching fish and it won’t break off when you catch a big one! I like to use a 7’6″ MH Lews composite glass and graphite rod paired up with a 5.1:1 Lews BB1 Pro reel. I like the composite glass and graphite rod because it has a slow reaction time and it helps the fish inhale the bait when it’s moving. It’s also 7’6″ which helps to make a very long cast and get the bait a long ways from the boat. Which will also help the bait diver deeper. 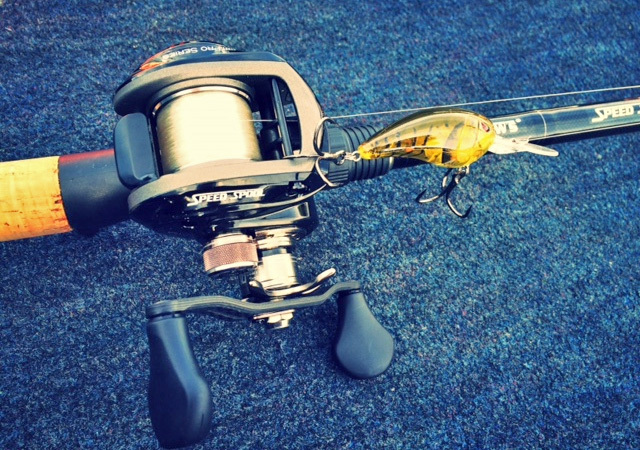 The slower 5.1:1 reel is very important in helping you get the bait to run its maximum depth. A crankbait will reach its deepest depths during a slow retrieve. So using a 5.1:1 won’t kill you and overwork you when throwing a crankbait all day long like a faster geared reel will. Another thing to consider when using a crankbait is, the line size you use dictates how deep your plug will run. If I use the RkCrawler on 10-pound Super FC Sniper I can get the bait to run 15-feet deep on very long cast. 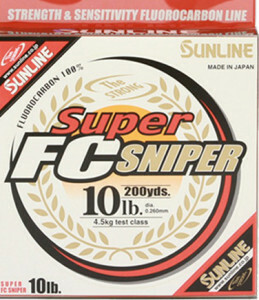 If I am using the same bait on 20-pound Super FC Sniper the bait will run only 4-5-feet. One very important aspect to throwing a crankbait that I do is, replace the treble hooks regardless of what kind of crankbait it is. Big ones, little ones, deep diving ones, shallow diving ones, it doesn’t matter, I change out the stock hooks they come with. 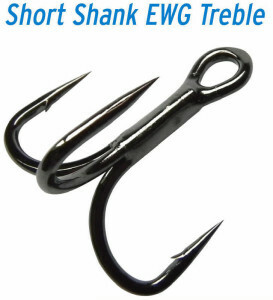 I replace the stock treble hooks with Gamakatsu EWG Treble Short Shank 2X hooks. These hooks are very strong and very sharp. The hooks are engineered with a “Magic Eye” witch helps when you are changing out stock hooks on a crankbait to a bigger, thicker, stronger one. It makes my job easier and I can change out the hooks quicker. Being successful when using a crankbait is all about the set up. This combination of the rod, reel, line, crankbait and hooks really works for me. If you apply some of these tips and techniques to your crankbait fishing it will help you catch more fish!